Discussion in 'Star Wars: Video/Tabletop Games' started by Admiral Petty, May 17, 2016. What's your favorite type of tabletop game? Finally received my Ghosts of Dathomir sourebook for Force and Destiny. I have been running a SW:RPG F&D campaign with the same core group for about a year now. On off nights we play the starfighters miniature game (and interchange minis for RPG). I enjoy how a lot of FF products can work with their variety of games (minus the dice). Congrats! I know you guys have been waiting that book for a while, from what I heard it's was "on the boat" since February or March until mid October. How did they manage the integration of the Force aspect in a mostly Jedi free environment? Our neighbor brought himself the Force and Destiny starter box, and before we might start a game I would like to know if they stray far from canon by having Jedi (?) at the timeline of the original trilogy (?) around. I’ve to admit, I never did any research on that part of the RPG before as I was leaning more to the Scoundrel/Outer Rim setting. We play a pretty mixed environment of characters based on F&D, EotE, and the Rebel sourcebook. Each of the games can be played together but the campaign books appear to be designed for those trees only. The force users are pretty weak so to speak - the progression reminds me of how hard it was to become a Jedi originally on Star Wars Galaxies. Force and Destiny takes place technically during the 'dark times' and then the OT. Basically, don't expect someone to roll a force user and be shooting force lightning for a while. If you DM another game and add a Force user make sure to include 'morality' (light side / dark side) checks for force users. If you skim over the starter kit your neighbor bought you'll see the few differences. And ah yes, the 'boat'. I'm pretty sure that the first order sank and then it had to be re-shipped. Or Disney held them off from releasing the book due to spoilers for Rebels/The Last Jedi (I have only started reading it and haven't seen anything shocking yet). The new app for Imperial Assault is great! Love that I can play this game solo now, and even with a group some welcome changes (including more role-play-ey) elements come with it. Plus, now I can say that a board game company made the best AI in a Star Wars game the same year EA released a Battlefront title. 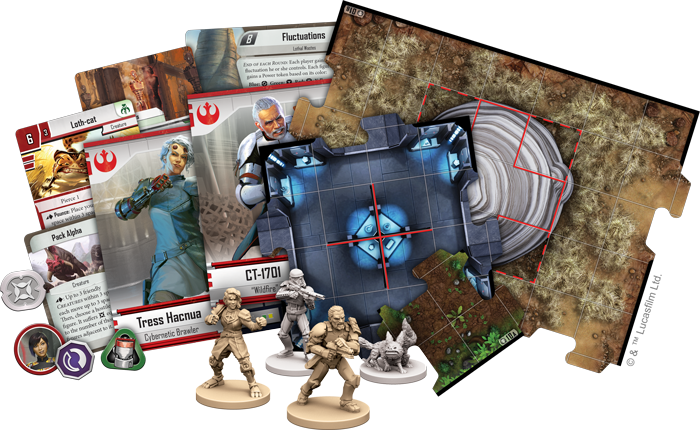 New Imperial Assault boxed set and reinforcement wave announced today, all with a Lothal Rebels theme! I've already got some since I've been painting Descent 2ed lately too. Man, I'm really looking forward to this wave, though. Has anybody tried Star Wars Legion? How are the miniatures in terms of quality, details etc. I am a WH40k miniature collector and thinking of branching out into my other favourite franchise. I haven't tried it yet, but I have some friends who have. From what I've heard, people tend to really enjoy it. Mini quality looks really good. Even though I probably will never get into the game (I'm an Imperial Assault loyalist, myself) I've been thinking for a while about picking up a T-47 to paint, because it looks great. 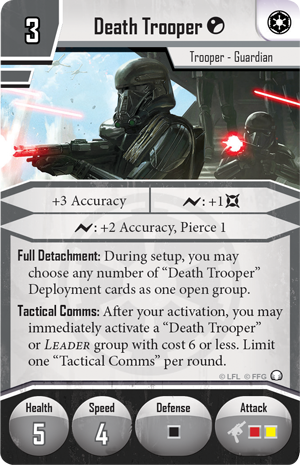 They just announced Royal Guards and Palpatine today, too! That's good to hear. I don't really play miniature games, or even paint anything. I just enjoy collecting and I have a friend who enjoys painting. What game is this? That's sick! Was Anakin force ghost a Luke's fantasy ?